In a blog post this week, Chris Jackson, Principle Program Manager in the Experiences and Devices Group at Microsoft, strongly encouraged people to stop using Internet Explorer. It is rare that a representative advises customers not to use his company’s product. In this case, the business risks of continuing to use IE, both immediate and over time, are too obvious to ignore. 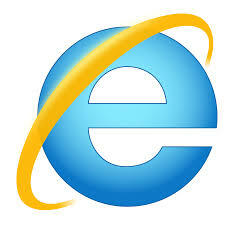 Internet Explorer used to dominate the browser market. Eighty-five percent of people used it fifteen years ago. Only 4 percent of people use Internet Explorer or its successor, Edge, today. Many of the people still using Internet Explorer, particularly Version 6, which was released in August 2001, do so for work. Their companies have built information systems that depend on it to provide access to data and services. These custom applications connect employees to data through the company’s local intranet, and the quality of the user’s experience depends on certain very specific ways Internet Explorer interprets and displays that data. Changing tools at any point may inconvenience users and compromise productivity, and most companies are unwilling to take those kinds of risks. Because of expense, a dearth of time, and a lack of a compelling business rationale, companies sometimes don’t update their in-house applications to use modern tools and standards. They thus commit themselves to using hopelessly outdated software applications that, in many cases, aren’t updated by their manufacturers anymore. Lacking updates, such software often carries known security vulnerabilities. Nevertheless, companies rationalize continuing to use them because key pieces of their infrastructure depend so thoroughly on them, endeavoring to create newer systems will likely introduce just as worrisome problems until the new code stabilizes, and, perhaps most convincingly, the systems are used only internally and are never supposed to touch the Internet. Unfortunately, this approach incurs significant amounts of what Jackson calls “technical debt”. When a company continues to use outdated technology to provide key pieces of its infrastructure, it constrains itself to less efficient, less reliable ways of doing things. The company becomes unable to interface with new systems that employ more flexible and powerful data formats and protocols. It ends up hiring expensive consultants who mastered yesterday’s technology and, buoyed by their dwindling number, command top salaries as the only ones with the knowledge needed to service these old systems. Whereas a company could have invested in creating, testing, and deploying more modern systems without dependencies on decades-old software components gradually over time, it now finds itself repeatedly going back to the old-technology well, paying just as much if not more for band-aids for its existing systems than it could have for fresh new ones. This is technical debt. It is hard to quantify in the moment, but it grows precipitously over time, even though companies will always have a hard time spotting it on a balance sheet. The lessons of Internet Explorer and related technologies of yesteryear are clear: they not only limit your capabilities and endanger your operations daily, but they carry significant hidden cost that grows over time. While it is foolhardy always to rush to embrace the latest gadget, gizmo, or computerized craze, one should be just as wary of holding on to yesterday’s once-shiny tech. It has long since lost its luster, and you’re paying for that.